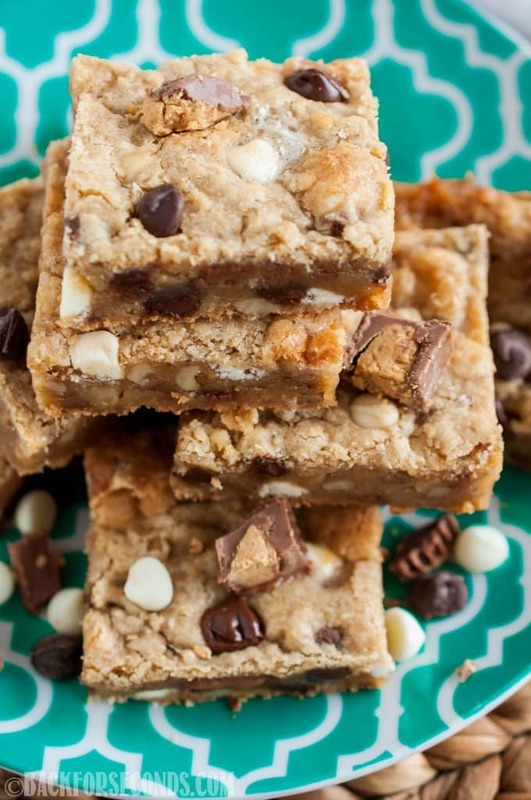 Everything Blondies are an insanely delicious and EASY to make dessert. 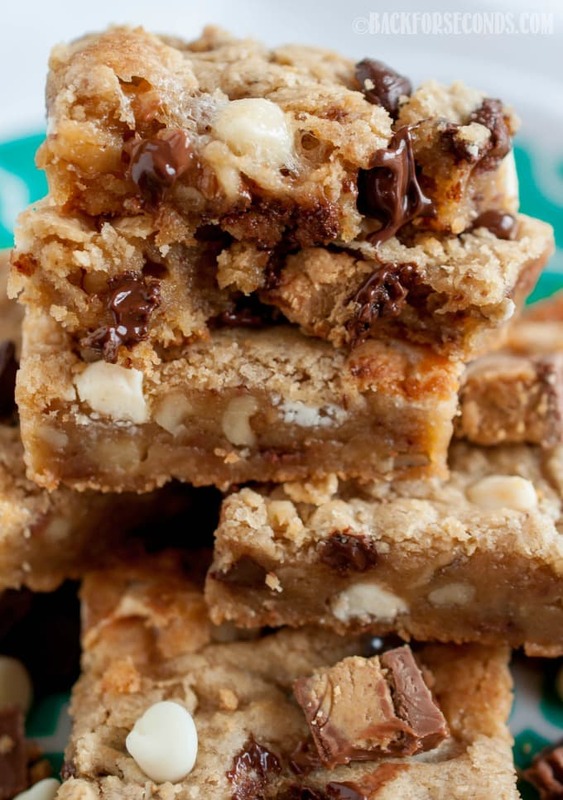 Buttery, chewy blondies loaded with peanut butter cups, marshmallows, and more! I know. Can you even stand these blondies?? Basically all things delicious jumped into a bowl together, got all mixed up, baked in the oven, and turned into one of the easiest, most irresistible desserts ever! Sprinkle them with a touch of sea salt like I did, and you can almost hear your tastebuds singing! Now, let’s talk about these bars. They really are everything. 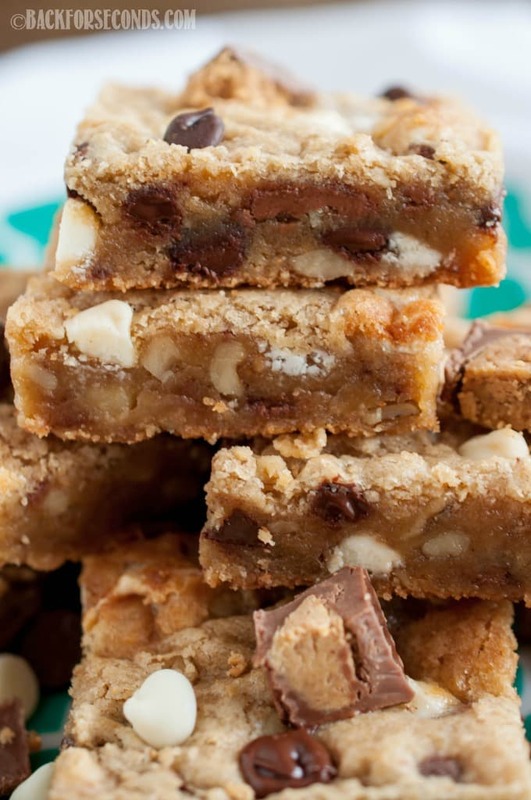 The bit of sea salt on top combined with the buttery blondes, and allllll the goodies baked inside – just the best! 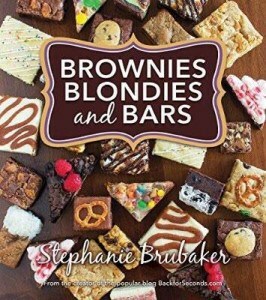 You can add anything you want to these blondies. Don’t feel that you need to stick to the add-ins that I used (although this combination is top notch!). Yum!! Your Blondies are the best! 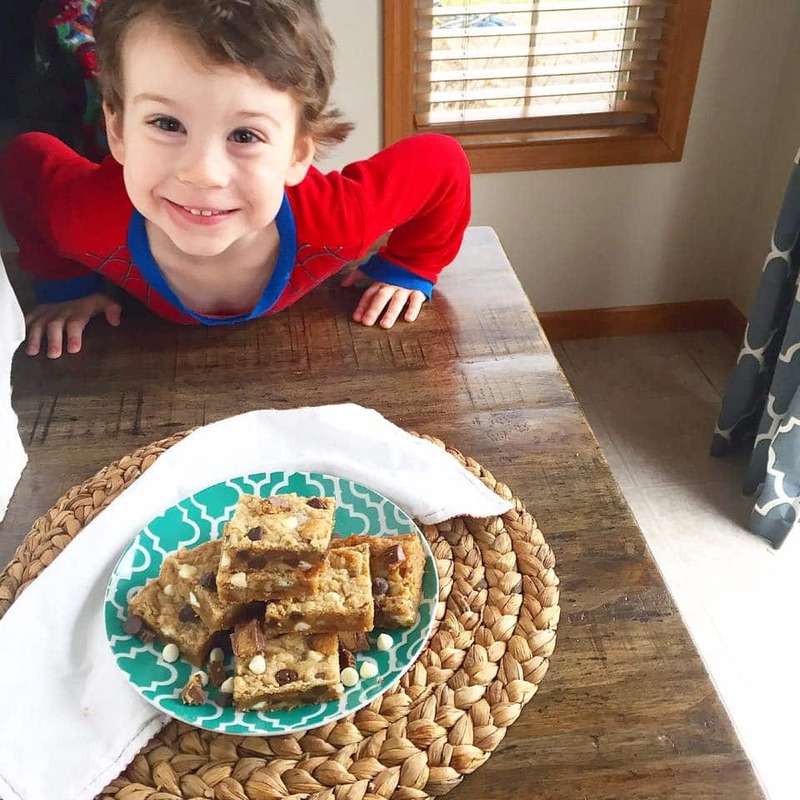 I don’t blame your kiddos for anxiously waiting to get a bite!! 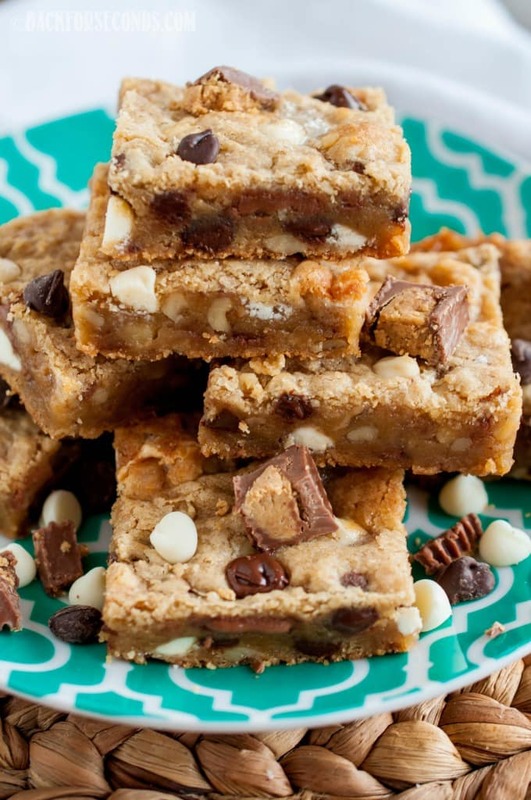 These look like gooey, chewy blondie perfection! Oh my goodness, yes pleeeease!! These would totally do the trick of satisfying any sweet craving! I love that dash of salty on top of a sweet treat! Looks good! Wow, these are totally loaded with flavor! My family is going to love when I make a batch of these! 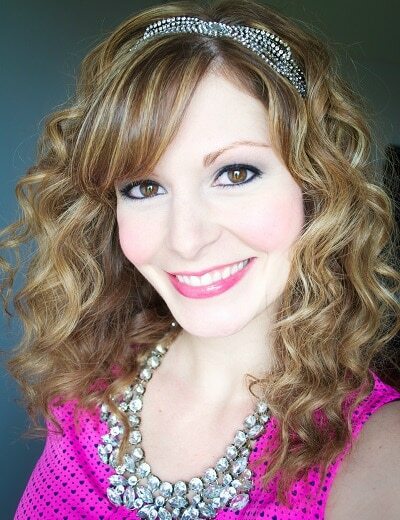 Seriously decadent perfection! I need a pan now! I’ve been so good on my diet, but these could definitely push me over the edge! YUM!